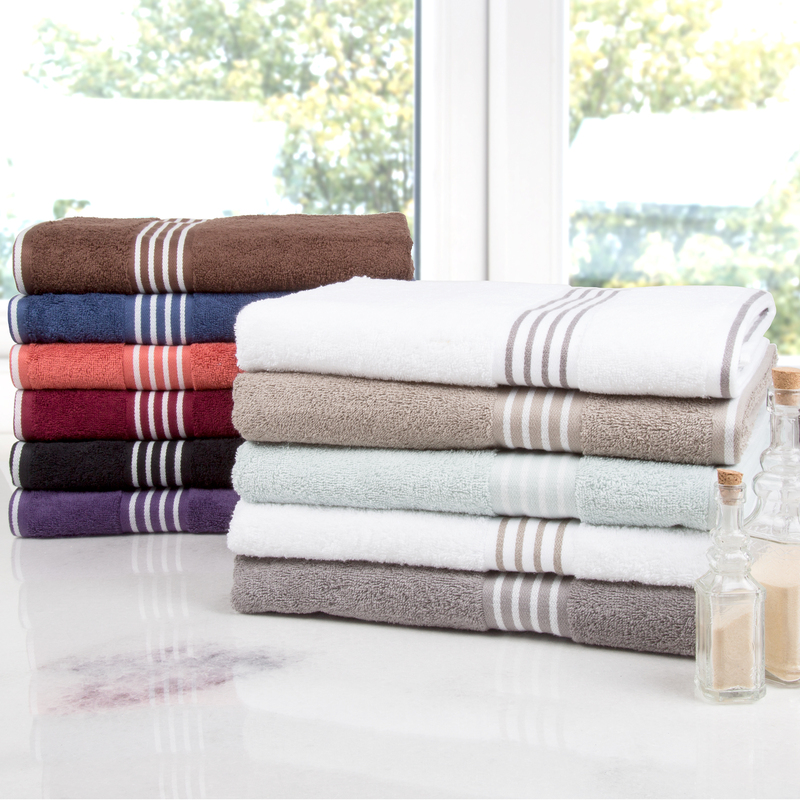 These 100% Cotton Towels from Lavish Home are extremely soft and absorbent. 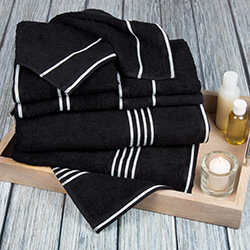 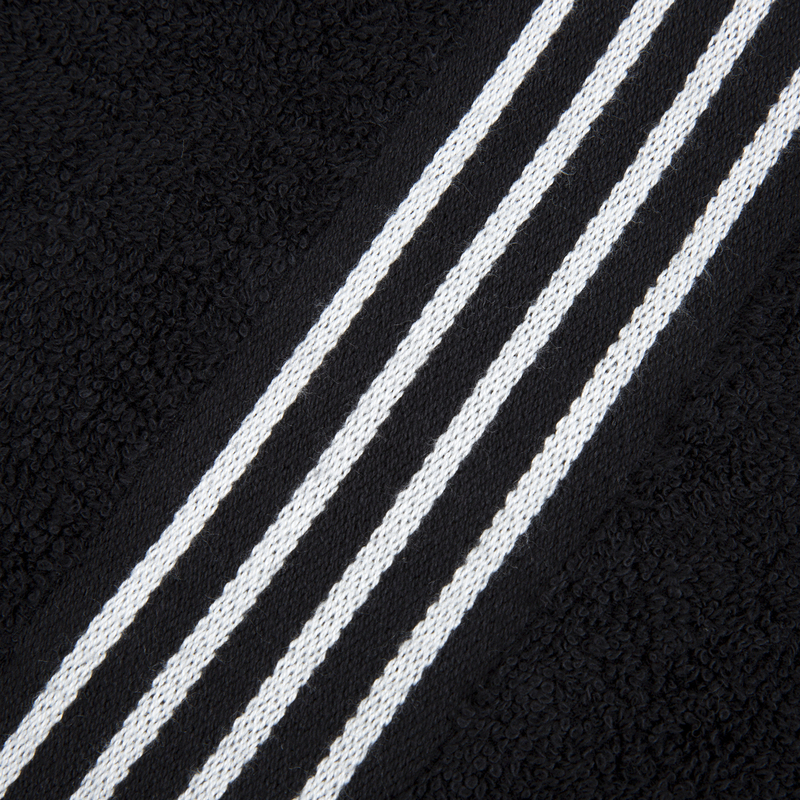 The super plush towels with understated striped detail will add a touch of elegance to any decor. The Lavish Home Rio 100% Egyptian Cotton Towel Set provides a luxurious bathroom experience. 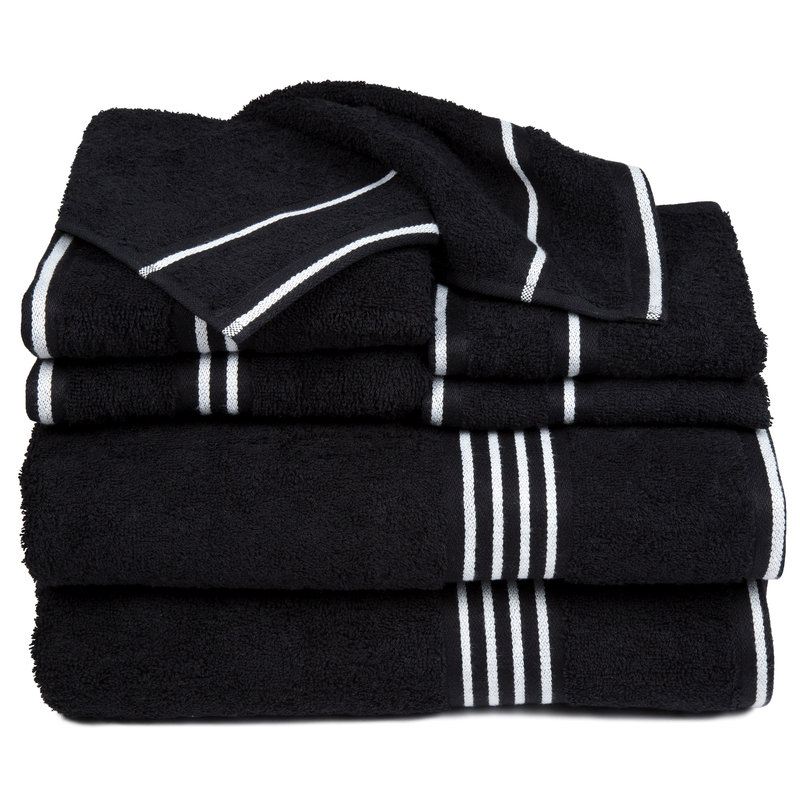 Care Instructions: Wash Before First Use, Machine Wash Warm with Like Colors, Do Not Bleach, Tumble Dry.